We are pleased to introduce Mark-10 MESURgauge software, a measuring and analysis program designed to expand the functionality of Mark-10 force and torque measuring instruments. The ability of Mark-10 MESURgauge software to display load and travel data sets it apart from other basic force measurement programs. 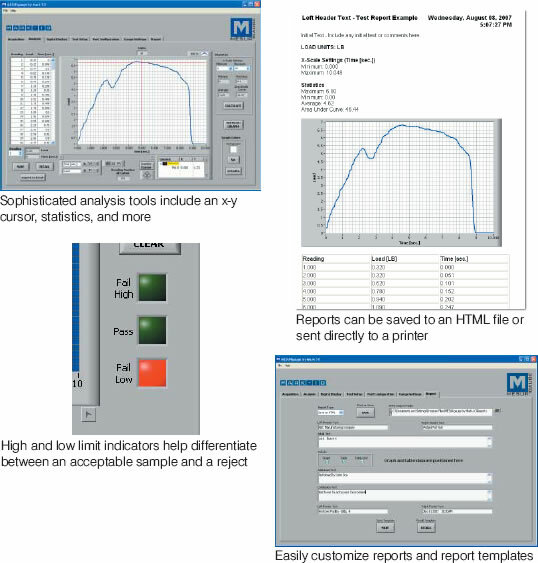 If the customer wishes to plot a graph of load vs. travel, common for such applications as tensile testing and spring testing, MESURgauge is a compelling alternative to more expensive and complex material testing programs. Any force or torque gauge with RS-232 data output is compatible with Mark-10 MESURgauge software. Simply enter in the appropriate communication protocols of the gauge into the program. Built-in simulated data allows the customer to evaluate the program with data which can be graphed, analyzed, and manipulated just like real test data. A gauge and cable are not necessary. Mark-10 MESURgauge is a measuring and analysis program designed to expand the functionality of force and torque measuring instruments. 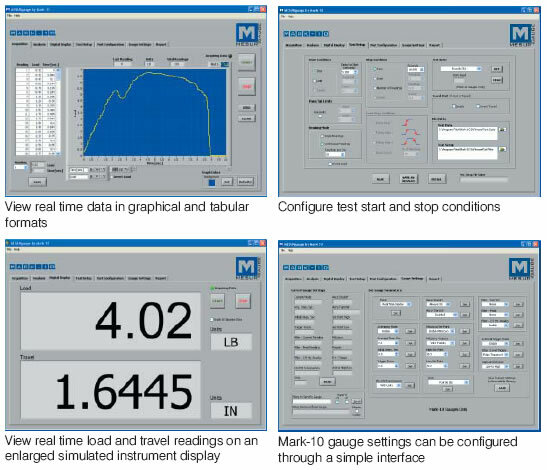 Mark-10 MESURgauge Software captures readings from any force or torque gauge with RS-232 output and displays data in tabular and graphical formats. Load data can be graphed versus time or distance, particularly useful for such applications as spring testing and tensile testing. Mark-10 MESURgauge Software includes a set of tools to analyze test results, including statistical calculations, quick data export to Microsoft Excel, customizable reports, pass/fail indicators, and many others. Test setups and sequences are customizable and can be saved and recalled. The user can program test start and stop conditions, including load, time, distance, and sample break. Additional features in Mark-10 MESURgauge Software include a large display screen for real time load and travel data and a utility to configure Mark-10 gauges from a PC. 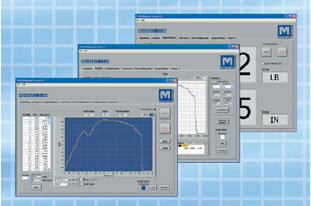 Built-in simulated data generation allows Mark-10 MESURgauge Software to be evaluated without a gauge.